Antoinette started nursing in 2003 and qualified in 2008. She joined us in February 2012 and is now one of our head nurses. She is a great clinical coach and a very caring nurse. She organises the nursing team to ensure operations run smoothly as well as ensuring the highest standard of care is maintained. Toni is also a pet health counselor and enjoys running the weight clinics. She has a rescue cat. Rosie joined us in December 2012 after graduating. She is now head nurse with Antoinette, overseeing the nurse’s rotations and is a clinical coach. She particularly enjoys feline medicine and radiography. Rosie is a caring nurse and a great organiser. She owns three cats. Sophia obtained her degree in 2014 and started at Barton Veterinary Hospital in December 2015. She is a clinical coach and our work experience coordinator, organising all students coming to see practice here. Her interests are CPR, inpatient care and she runs our senior clinic. She got Silver in her MiNurse Academy Clinical nurse practioner course. She owns two cats and particularly enjoys reading. Ellie originally joined us in March 2015 as a student veterinary nurse and qualified as a registered nurse in 2018. She owns two guinea pigs and a cat. Ellie particularly enjoys theatre and monitoring anaesthesia. She is in charge of ordering our oxygen and oversees radiography and ultrasound maintenance. Hannah qualified in August 2016 and joined Barton Veterinary Hospital in December 2017. She particularly enjoys medical nursing and inpatient care. At home she owns two cats and enjoys horse riding and skiing in her spare time. Claire came to the Barton in September 2016 and completed her final year of veterinary nursing diploma here. 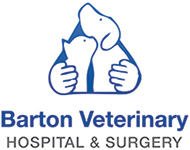 She strives to give the best level of service to our clients and to give the best care to their beloved pets. She has an interest in any type of animals, whether home grown or very exotic! She volunteered for Vets Without Borders as a translator and completed a mahout/elephant handling and riding training course in India in 2014. Claire has three lovely children, one dog and two cats. Hannah graduated from Harper Adams in 2014 and joined Barton Veterinary Hospital in August 2015. She has a specific interest in anaesthesia and theatre nursing. She is studying toward a certificate in anaesthesia. Her specific mission in the practice is organising our laboratory. She is also a clinical coach overseeing student nurses. Hannah got gold in her MiNurse Academy Surgical nursing course. Hannah has rescued two kittens abandoned at the practice and runs marathons in her spare time. Laura is a student veterinary nurse in her third year who joined Barton Veterinary Hospital in May 2017. She immediately fitted in the team. Laura owns horses and three rescue dogs. In her spare time, she really enjoys walking her dogs. Rachel had a career change from teaching. She first came to us as a work experience and joined the practice in October 2016 as a kennel assistant, determined to enter the nursing profession. She just started college this year. Rachel owns five cats and would happily rescue all the strays brought to us. Kayleigh has been working in general practice since September 2017 and joined the team here at Barton Veterinary Hospital in August 2018, where she started her student veterinary nursing course. At home she has a bearded dragon, a fully stocked marine fish tank and a Husky.